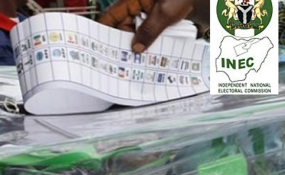 The Independent National Electoral Commission (INEC) has released the final list of candidates eligible to participate in the forthcoming general elections. The list contains the names of candidates for the presidential, national and state assemblies. The final list of eligible presidential and vice presidential candidates that was released by INEC had 144 names. The Social Democratic Party is yet to present its presidential candidate or running mate for the election which might be due to the controversy that marred the party's primary. A former Governor of Cross River State, Donald Duke was declared as the party's flag bearer and was ousted out by a court in December. A former minister of information, Jerry Gana was recognised by the court, but was not accepted by his party. However, there were total of 28 women on the list as either presidential and vice presidential candidate. A total of 72 Presidential candidates and another 72 Vice-Presidential candidates are expected to be voted for during the February election.